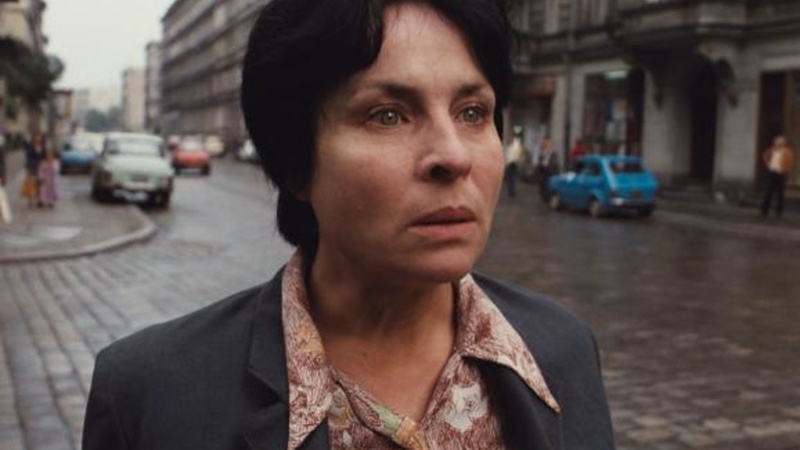 Agnieszka Holland’s early film, A Woman Alone, portrays a society on the brink of a catastrophe. The film was shot in 1981, when many of Holland’s colleagues, such as Andrzej Wajda, with whom she collaborated on 1977’s Man of Marble, felt optimistic about the rise of Poland’s independent unions. Its story centers on the life of Irena (Maria Chwalibóg), a single mother whose position in society is so marginal it becomes painfully oppressive. Belonging to neither the Communist Party nor Solidarity, Irena finds herself unable to count on anyone, except for her own meager resources. Living with her young son in squalid conditions on the outskirts of Lodz, she endures the lack of running water, heat, and electricity, not to mention her colleagues’ unshakable antipathy. Engaged in a stark battle for survival, she fights her neighbors and co-workers eager to take over her home and her job at a post office. In the midst of all this drudgery, Irena starts a romance with a disabled coalmine worker, Jacek (Bogusław Linda), and glimpses a chance of escape. The lovers’ wild plot to flee to the West comes to naught, however, after Irena steals money from pensioners to buy a used car and the two suffer a road accident. The film’s dark humor emphasizes not only the bleakness, but also the brutal, at-times cruelly poetic absurdity of life under communism. In one scene, shot in the dark, a mysterious procession emerges in front of a store with a sign “Delikatesy.” Perhaps nothing summarizes that dark period more saliently; Poles and other viewers familiar with communism will immediately recognize the significance of endless lines for meat, formed in the night and lasting till the supplies ran out. The sweeping soundtrack by Jan Kanty Pawluskiewicz turns Irena and her compatriots’ daily struggle into a grotesquely heroic ritual. In other instances, Irena’s daily routine serves as a lens to peep behind the communist curtain. 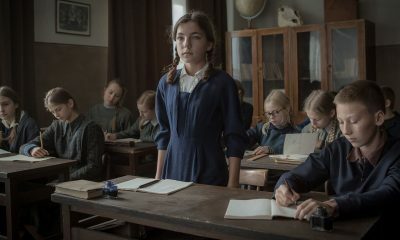 In one scene, as Irena delivers letters, she becomes an unwilling witness to a violent raid by the secret police. But Holland also goes beyond a critique of socialism, for while the thoughtless meanness inflicted on Irena is made worse by repression, it isn’t predicated on politics alone. Where others may glimpse visions of solidarity and union, Holland sees social ties as inherently fragile. In this sense, A Woman Alone raises questions about citizenship in its deepest sense, exposing its limitations. The film’s tone is bleak, but this doesn’t stem from the characters’ fatalism. Deeply moral, Irena believes not only in sin, but also in divine grace. Her small triumph lies in her becoming an agent in her own fate. 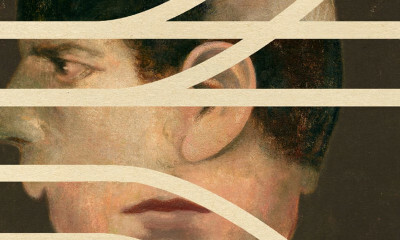 Her tragic escape, which means abandoning her son, is both a meditation on powerlessness and a satiric de-masking of romantic love, shown as not at all immune to economic setbacks. Holland, who went on to explore bruising relationships in films such as Washington Square, her adaptation of the Henry James classic, and totalitarianism in Europa, Europa, and, more recently, in Burning Bush, offers in A Woman Alone a glimpse of both, pushing against sentimentality. Irena and Jacek’s reckless plan, fueled by unrealistic dreams about the West and by their own naïveté (they seem unaware that they need visas) is bound to end in a fiasco, since their lives are marked by cultural and political isolation, a carefully constructed delusion that runs parallel to their fantasies. Thanks to Holland’s unique style mixing black humor with fine psychological observation, the film is a portrait of Poland’s conditions in the last decade of communism, but also serves as a social grotesque, accentuating situations to the point where they become untenable. Nowhere is this more keenly felt than when Jacek shows up, post-accident, his head wrapped in bandages, and poses his suitcase as a fake detonating device, threatening to blow up the American Embassy. Jacek’s madness is ambiguous, but there’s no denying a startling hilarity of the hostage scene, with the embassy as a potent, idealized symbol of might, prosperity, and reckless freedom. As a meditation on feverish utopia, A Woman Alone remains a sobering record of its time, reminding us that Poland’s brief sprint to freedom ended with the martial law being imposed on the country in 1981, Wajda and Holland’s works being banned, and their fellow citizens’ exuberant dream of freedom momentarily turning into a nightmare. Agnieszka Holland’s A Woman Alone will be shown on November 22 at Tribeca Film Center, in the Polish Filmmakers NYC “Different Ages, Different Voices: Polish Women in Film” series, co-curated by Michał Oleszczyk and Agata Drogowska.